Do you need containers that are going to stand out and are sturdy and dependable? The 33 Ounce Clear Flattened Globe bins stand out with their unique design and shape. 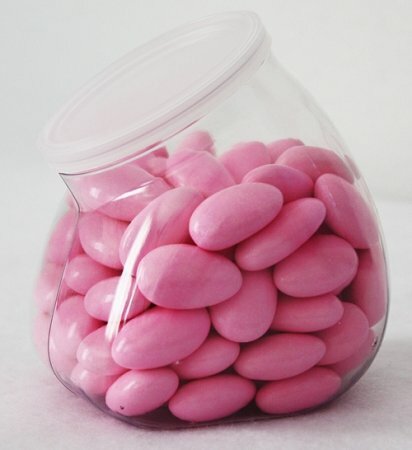 They offer an angled top for easy access to the filled jars. 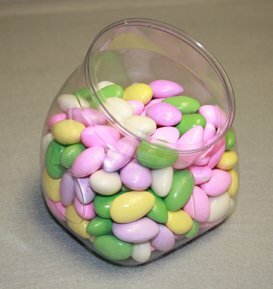 Add your see-through canisters with colored candies and amaze your customers into making another spur of the moment purchase. Create highly sought after impulse products by filling these teardrop style bins with small trinkets that customers will instantly love. These containers are perfectly sized for countertops, shelving, or even desktops. If you are planning a fund raiser for a group, our 4x5 durable bins are great for those occasions, simply add your choice of candy, and sell by the jar to support your favorite ball player. The tops of the lids are ideal for letter stickers that represent your hometown team. Purchase your 36 count of flattened globe containers today.